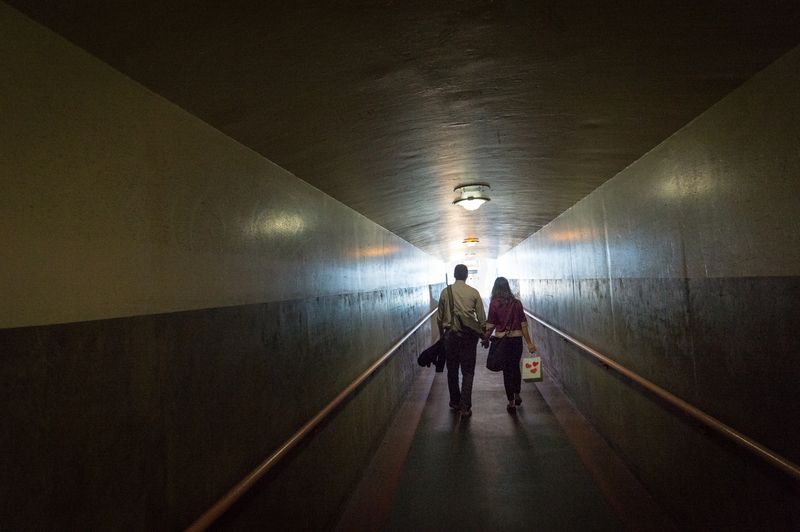 ART OF TRANSIT: Speed Dating (it’s really more like mingling) on the Red Line event is Friday. Click on the pic for more details. Photo by Steve Hymon/Metro. The opinion piece argues that the gap in the 710 between Alhambra and Pasadena is not just a local problem but a regional issue due to traffic on local streets, extra pollution caused by congestion and the number of accidents on the nearby 5 freeway, which some motorists use as an alternative to the 710. With the upcoming release of the SR 710 North’s draft environmental study by Caltrans and Metro, the three op-ed authors (Gary Toebben of the Los Angeles Area Chamber of Commerce, Hilary Norton of Fixing Angelenos Stuck in Traffic and Cynthia Kurtz of the San Gabriel Valley Economic Partnership) argue that everyone in the area should get involved by reading the document, participating in public meetings and commenting on the study. There are five alternatives considered in the study: the legally-required no-build option, a freeway tunnel, light rail between East L.A. and Pasadena, bus rapid transit between East L.A. and Pasadena and road, traffic signal and intersection improvements on local streets. On the subject of clogged freeways, recent data from the Texas Transportation Institute shows the worst freeway tie-ups are local with the stretch of the 5 freeway between the 710 and 605 getting top honors and the 405 through the Westside nipping at its heels. There is an ongoing widening project by Caltrans (and partially funded by Metro) on the 5 between the 605 and the Orange County line and Caltrans says it would like to add a carpool lane to the 5 by 2025 between the 710 and 605. Other bad bottlenecks in our region: the 405 through Costa Mesa and Fountain Valley, the southbound 101 in the San Fernando Valley, the 60 freeway in Montebello and the 170 in Valley Village (perhaps owing to an incomplete exchange with the 101). Transit as an alternative? Metrolink offers service between Los Angeles and Orange County that roughly follows the 5 and the Orange Line/Red Line combo can be used to travel south from the SFV to Hollywood and DTLA. An extension of the Eastside Gold Line — a Measure R funded project — is presently a third decade Measure R project and would get the train to Montebello and there is an ongoing technical study about two alternatives under study — one that would follow the 60 freeway to South El Monte, the other which would go to Whittier. At present, there’s only enough Measure R money to build one of those, but some activists are pushing Metro to seek funding to build both. Stay tuned. A good look at several high-rise buildings that are under construction in K-Town, all near Wilshire Boulevard. That means they’re either close to Purple Line subway stations or stops for the Metro 20 Local Bus or Metro 720 Rapid Bus, both which can be used to connect to the subway. A wide-ranging essay about the Metro North accident last week in which a commuter train hit an SUV sitting on the tracks at a rail crossing in suburban New York. Sam Tenenhaus writes that the accident, in some ways, is a symptom of a bigger problem: growing suburban congestion, the failure of transit to get more riders and crumbling infrastructure that has been little updated since it was built in the 1920s and ’30s. Not directly transit-related, but we like to keep an eye on weather and climate. 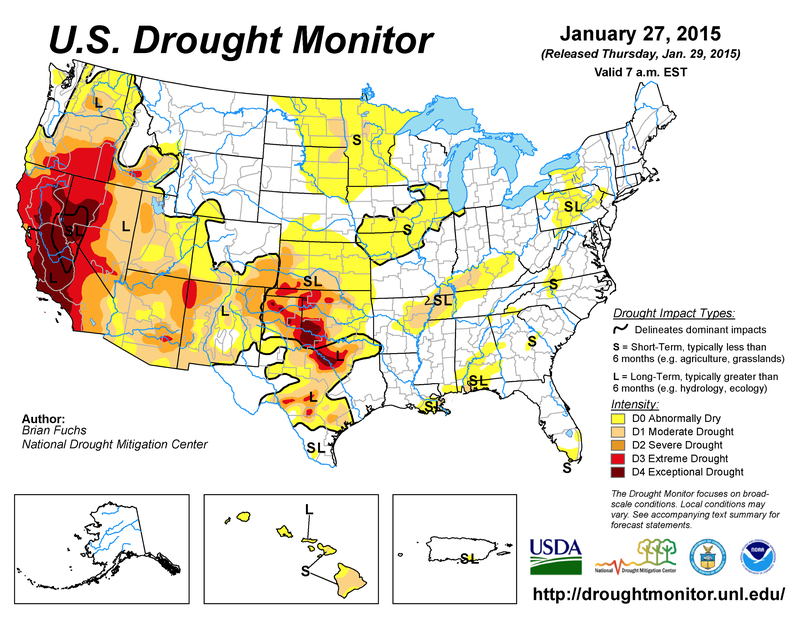 Unless things change in the second half of winter, it looks like our region’s ongoing drought will continue and that will likely have implications on such things as development, landscaping and the cost of other infrastructure. Which leads me to this mild suggestion: it would be great if our local schools added an Infrastructure 101 class that explained to kiddies where we get or how we do all the things that we depend on — ranging from electricity generation to water to transportation. One of our fave advice columnists — Umbra — tackles a great question from a reader: is it better to buy a Prius despite its manufacturing footprint or would it be better to hang onto an older, beat-up pickup? Her answer: over its lifetime, the Prius (and other hybrids) emits far less carbon dioxide, although there are a lot of variables. You could juice the numbers in your favor by buying a used hybrid, which has already made its manufacturing impact on the planet. But in the end, Mike, it’s up to you, your mechanic, and your bank account to consider these factors and make the best call for you. Now, if you’re dying for an unequivocal answer about the greenest car choice to make, here it is: Scrap your truck and commit to car-lessness. Between biking, walking, public transportation, and car shares, you’ll save buckets of carbon. With that kind of behavior, you’ll even be able to justify the occasional pickup rental, for old time’s sake. That last graph is a really good point that I’d like to amend a bit. I don’t think it’s realistic for many people in our area to go car-less (at least not yet). I do, however, think that it’s very possible to use walking, bikes and transit as a way to put far less miles on your car — thereby getting the car to last longer and costing you less in the process. I also think a greatly expanded transit network here may make it possible for some families to lower the number of cars that they need to own. The 5 between the 710 and 605 is the worst bottleneck, so how come the 405 gets all the attention ? people visiting la and people who tell the “outside world” about la (eg journalists, movie stars) are predominantly white. white people interact more with the 405 than the 5 because they live on the westside. visitors interact more with the 405 because it runs from the airport. I really would like to know how a 4.5 mile highway addition is going to address ANY of these concerns. I would love to see LA and the neighboring cities think ahead just one time and realize that this stent is, at best, buying a brief period of congestion relief and at the same time creating the even more horrific congestion of tomorrow. LRT gives this region the best opportunity to begin the process of providing these commuters with alternatives, and of reorganizing our communities around something other than single occupant vehicles. The problem is Scott, LRT under a current flat rate structure does not ease congestion or promote more people to take less of the cars or alleviate traffic for a certain sector: short distance driving. One of the largest uses of the car are short trips which involves daily errands like going grocery shopping, going to a neighborhood restaurant, watching a movie, etc. etc.. Even though the travel distance maybe short, the vast majority of Angelenos drive to these short distance trips. Multiply the number of cars being used to go to Ralphs, Vons, Albertsons, Costco or any other place within 5 miles of where they live, the CO2 emissions from those short driving is also substantial. But no one is going to take public transit to do their grocery shopping either. Who’s going to pay $1.75 each way (remember, you can’t use the new fares for roundtrips) just to go buy limited amount of groceries? If it were cheap like 50 cents roundtrip for short trips it would make sense. But no one is going to think about paying $3.50 extra just to go buy a gallon of milk, watch a movie, going to a neighborhood bar or restaurant, etc. And neither does it make sense to choose between paying $3.50 roundtrip or forking over $100 a month for frequent short trips either. And unlike cars, you can fit that much groceries onto buses or trains. Unless Metro changes their fare structure, they’ll never be able to tap into the short distance market; one that today is what many Angelenos use their cars for. How will we be able to cut emissions when the vast majority are still using cars for under 5 mile trips? How much gas emissions can be cut if Metro fare prices were cut to appeal and convince drivers in the short distance market? Who’s going to pay 1.75 one way to go get groceries? Me, man. Your ire re: the fare hike would make more sense were it focused on the increase on 30 day passes. What if I told you in Singapore, bus fares start off at a low of $0.60 for short trips, up to a cap of $2.50 for the longest trips. Would you rather prefer paying $0.60 just to go to the supermarket which is a short distance away and willing to pay $2.50 for the longer trips, than paying $1.75 regardless whether you go to the neighborhood supermarket or all the way to the beach (with absolutely ZERO GUARANTEE the price will remain at that price; meaning your cost to the supermarket can go up to $2.00, $3.00 ONE-WAY)? And guess what? Singapore’s mass transit actually makes money all on its own, no taxes are used to run it because it makes its own profit. Not even NYC, the best the US has to offer can do that. I’ve lived in Los Angeles for 5 years now, of this time I’ve spent 4 years living “car-light”—driving less than 3,000 miles a year and doing so in a 10 year old car (paid off free and clear) by mostly taking the bus or train to work and recreationally using the bus or e-hailing apps. Last year I donated my car to charity and became car-free. I now have more disposable income, a drastically lower carbon footprint, and more time to spend writing stories and listening to audiobooks. I still have a Zipcar membership and e-hailing apps like Uber for access to a car (or traditional rentals for long weekends to out of state), but I don’t need either 95% of the time because I also have a bike. Most of all it helped to live close to work or within a single seat ride to possibly within one transfer on transit of where I work in this case from K-Town to Financial District. While not for everyone in Los Angeles I think it could be for a lot more people who are financially, health, and environmentally conscious to carve out a local sphere of this giant city to hone in on living local and cutting unnecessary commutes to areas far from work with still high rent and doing it fueling, insuring, and waiting in an idling car causing further delays and pollution. There is a way out and it involves more thinking than we most are doing today.